Lady Donli’s ability to convey emotions through her music is heard most on “Ice Cream”. Accompanied by additional vocals from DJ Woske and a verse from Tomi Thomas, she depicts just how mysterious love is by using the creamy delicacy as a metaphor. Singing “You Are Sweet Like Ice Cream Baby, You Do Me Like Ice-Cream Baby/ But You Know, We Both Know, That You Are No Good For Me.” it’s seems like a cheesy description for love but it’s rather apt considering both come in varieties. And while they both can be quite the treat, it could get messy when it inevitably melts. 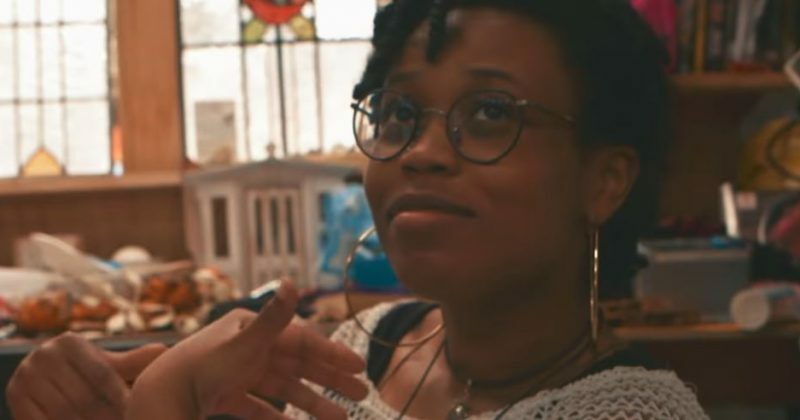 The video for “Ice Cream” displays some footage of Lady Donli, Tomi Thomas and friends in a summer-like laid back scenes. Their warm smiles and charming dances make the video delightful and playful—so playful, there’s a freeze frame with text saying ‘Misplaced Some Footage of Tomi, Sorry’. The video’s director, Kuddi chooses colorful frames and filters to further emphasize the cheerful mood conveyed through the single and characters in the video.